Soooo I didn't get to the makeup must-haves for today's post, but I'll post that tomorrow! Just wanted to show y'all the wonderful shirt I made for sweet Kathryn. Can't wait for the Monogram Meredith love to be out in San Francisco (one of my favorite places ever)! 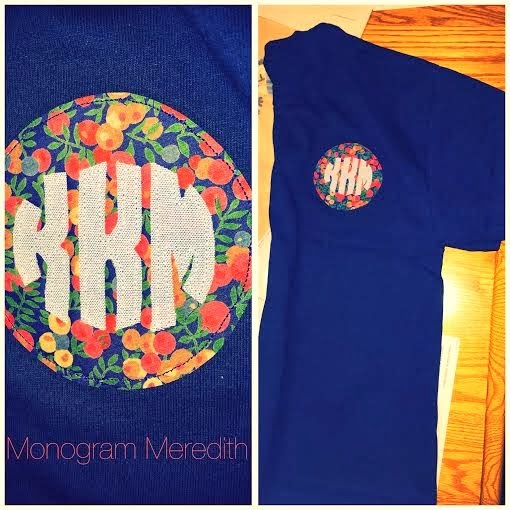 If you're interested in buying a shirt, visit my 'Shop' page here and/or email me at monogrammeredith@gmail.com!